But most of all they are human and they too need to be recognized for the sacrifices they make to love and cherish their sailor, soldier, marine, airman, or coastie. How can you recognize them on their special day? 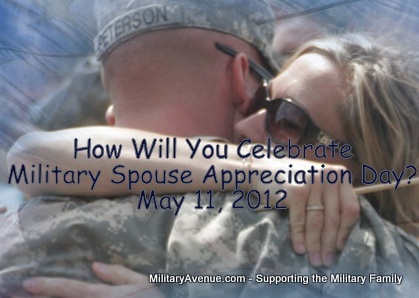 Great blog for military families. Check out www.healthybodyhealthylife.org it's a new non-profit organization that offers free fitness classes, online workouts, a fitness/nutrition blog, and healthy recipes to military spouses! We are expanding to 8 different military bases this summer- hopefully even more in the future!